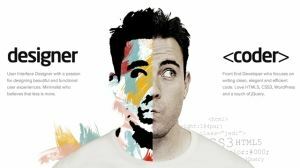 Does Your Site Need a Web Designer or a Web Developer? Home/Branding, Online Marketing/Does Your Site Need a Web Designer or a Web Developer? Anytime I’m asked do you need a Web Designer or a Web Developer in order to get a site built? 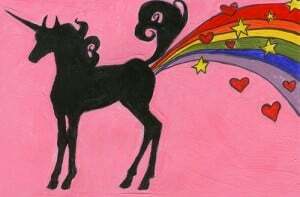 In my mind I think Oo yeah the elusive unicorn that farts out rainbows. One has focus on eye candy, while the other tackles conversions, functionality wire frames etc. Not an easy mix to find. All kidding aside, when venturing onto the web I understand it’s a complicated proposition for any business. Whether you’re diving into online marketing for the first time or simply looking to rebrand your existing company, you’ll need a variety of professional services. 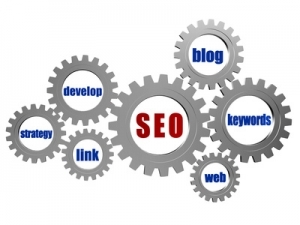 Of course, you’ll enlist the help of a professional SEO consultant a copywriter etc. but when it comes to constructing your new site, the lines get a little blurry. Both web designers and web developers can create the visual content, functionality, eye candy on the site, but which do you need for your project? Web designers are illustrators in their hearts — they create the pallets, images and visual statements that your website is bound to need. These guys put the tuxedo on your site, but they don’t know much about making it dance. Instead, they look at your site as if it were a two-dimensional thing, choosing colors and fonts as necessary to induce the feeling you want your viewers to take away. Visual balance. Balance is critical to all things visual — after all, too much dark or too much bright can make a site feel off-kilter. Just like magazine and newspaper designers, a web designer carefully chooses elements so that none of them carry a weight greater than they deserve. This way the designer can move the user through the page, emphasizing those things that are most important and should be viewed first. Contrast. Graphic designers deal with color contrast on a regular basis, and so may your web designer — but they go way beyond the basic with contrast. Contrast is an elegant way to draw the eye to particular elements on a page, but that contrast may be created with textures, shapes, typefaces or line types. Focus. Knowing just what to emphasize is as important as knowing how to emphasize it. Your web designer’s first and foremost job is to choose the details a user absolutely shouldn’t miss and bring them to their attention using all the tools in their arsenal. Your website would be a confusing collection of links and images if your designer didn’t understand how to focus the user. Repetition. Humans love consistency, whether it’s on the printed page or on the web. They expect that each page’s navigation and design will be the same, or at least very similar, and when it isn’t, they’re jarred hard enough to lose interest in your site. Web designers keep the elements consistent enough that your users lose themselves in the experience that is your site. Unity. 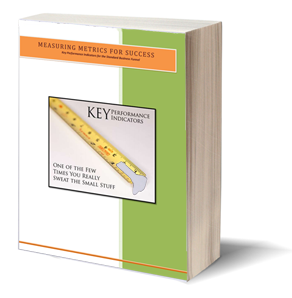 Just as important as any one thing, the whole of them is vital to your site’s success. Users like consistency, remember? Well, they also like it when all the parts feel like they belong to a whole. When there’s something that doesn’t fit, it leaves your visitors scratching their heads and ready to look at a site that was better thought out. Web designers are absolutely critical to the look of a professional website, what they offer can’t be replaced by a collection of templates or your nephew choosing elements willy-nilly. A beautiful site is just that — it’s amazing, it’s gorgeous, but it’s not functional. Not yet, anyway. That’s where your web developer comes into the picture. A web developer breathes life into your web designer’s vision. They turn the buttons on, make the links live and design all the stuff that’s required to make your site function. You can think of them as the engineer of your site — they’ll be building the moving parts from the ground up using a variety of programming languages and tools that most web designers don’t have the skill to utilize properly. There are a great number of things going on in the background of your site that are vital to its success, both for the users and those search engines that you’re hoping to rank with. It’s the web developer that ensures that your site can be properly crawled by search engines, that multiple language pages are interpreted properly and that all your links actually link up to something. It may sound like a small job, but in fact, programming your site is like writing a book or building a bridge — there’s a lot more to it than what you see on the outside looking in. For your later SEO efforts to succeed, your website needs to be blazing fast, well-organized and full of properly functioning elements. That’s where your web developer comes in — he’s going to build it and they’re all going to come. Asking if you need a developer or designer for your site is kind of asking if you need to build your new home addition or choose the paint. You really need both. Some web developers understand basic principles of design and some web designers know enough code to build a site, but the cross-overs who can do both fantastically are few and far between. This is why so many site owners hire a web development company instead of a single developer or designer. A company that specializes in web design and development will house both types of web architects — and they’re already working as a team, which simplifies communication dramatically. A site that functions at its best will get you the attention that you’re seeking from end users and search engines alike, so don’t leave out an important player in the game. Always make sure your web team has access to a designer and a developer or find someone else who does. The last thing your company needs is a site that’s only partially built — the chances are it’ll never function properly which can cause your site to get penalized (resulting in loss of traffic) when it finally does go live.